Looking for a Used SRX in your area? CarGurus has 5,663 nationwide SRX listings starting at $2,290. Often introduced as the Escalade’s little brother, Cadillac’s 2015 SRX is expected to hold its own in the compact luxury crossover market. 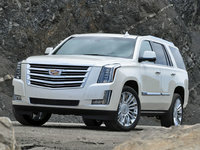 While offering a downsized variation of the Escalade’s high-end utility and versatility, as well as that inimitable Cadillac cachet, this pint-size people-hauler seats 5 in the traditionally well-appointed cabin, along with retaining a decently spacious 61.1 cubic feet of cargo capacity with the rear seatbacks folded. Expect the same 4 trims as last year, the base SRX, the up-featured Luxury, the sporty Performance and the top-shelf Premium to return for the 2015 model year, with all 3 of the latter known as “Collections” in Caddy-land. Although all trim levels are delivered once again with standard front-wheel drive (FWD), each of them, except the base SRX, can additionally be purchased with optional all-wheel drive (AWD) that boasts the touted Haldex electronically controlled limited-slip differential. Meantime, GM’s debuting 4G LTE WiFi hotspot technology is slated to be added into the SRX’s standard OnStar system for 2015 but, alas, a hoped-for plug-in version of this downsized Caddy has been put on the back burner indefinitely. Of course, the ubiquitous 3.6-liter V6 engine returns to power the 2015 SRX editions, and it’ll remain managed by the tried-and-true 6-speed shiftable automatic transmission. Look for 308 hp and 265 lb-ft of torque from this peppy drivetrain, with mileage numbers again ranging from a tepid 17 mpg city/24 highway in FWD versions to 16/23 in AWD editions despite standard variable valve timing (VVT). Appearance features adorning the base 2015 SRX should again include 18-inch painted alloy wheels, a rear spoiler, heated power-adjustable outside mirrors and a roof rack, with the upscale cabin again flaunting leatherette upholstery, power windows and door locks, a power adjustable driver’s seat and reclining second-row seatbacks. Cruise control will again be standard in this entry-level trim, as will telescoping tilt-wheel steering, while upgraded OnStar Directions and Connections technology will now sport the addition of that above-mentioned 4G LTE WiFi hotspot capability. Also look for dual-zone climate control, leather and simulated alloy cabin accents and Bluetooth hands-free technology to join the Bose premium 8-speaker audio system that again flaunts satellite radio and a memory-card slot. Oh, and all this techno-bling is once again interfaced via the Cadillac User Experience’s (CUE) 8-inch touchscreen display. 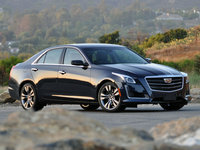 Moving up to the Luxury Collection, expect the standard power sunroof to return, along with a power rear liftgate, power adjustable heated front seats and steering wheel, a rear-view camera, genuine wood accents, memory for driver's settings, an auto-dimming rear-view mirror and leather upholstery. Look for the pizzazz-laden Performance Collection, meanwhile, to sport a standard sport-tuned suspension with active dampers, reverse-tilt outside mirrors, 20-inch alloy wheels, power-adjustable pedals, upgraded power steering, Surround Sound and a navigation system. Finally, at the top of the food chain, the ultra-plush 2015 SRX Premium Collection adds tri-zone climate control, heated rear seats, dedicated rear-seat audio controls and, as standard equipment, a Driver Awareness package boasting forward-collision alert, blind-spot and lane-departure warnings and automatic high/low-beam headlights. Options, meantime, are again dependent on the selected trim level and are expected to include a towing package and rear-seat DVD entertainment, as well as a Driver Assistance Package with adaptive cruise control, auto collision prep and front and rear auto emergency braking. And the available Sports Edition Package is also expected to return for 2015 boasting a sport grille, a unique 2-tone exterior color treatment, upgraded 20-inch wheels and a premium all-weather cargo mat. Once again, look for the 2015 SRX stable to flaunt 4-wheel antilock brakes (ABS), traction and stability control, front side-mounted airbags, and front and rear head airbags, along with daytime running lights, OnStar emergency assistance services, a post-collision safety system and a remote antitheft alarm. Both the Performance Collection and the Premium Collection additionally flaunt high-intensity-discharge headlights, front fog/driving lights and self-leveling headlights, while an optional Highway Safety Kit, with tools, flashlight, a help banner and a first aid kit is again available lineup-wide. 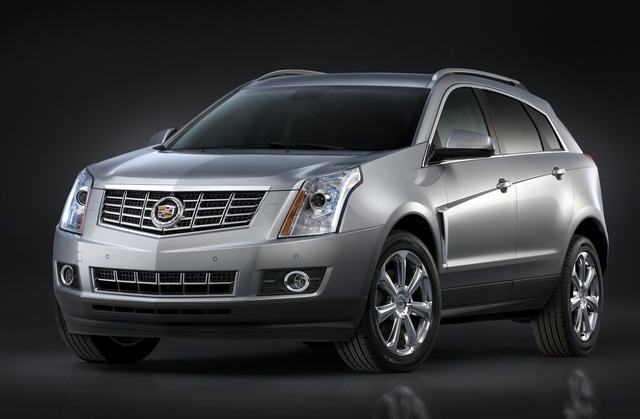 What's your take on the 2015 Cadillac SRX? Kay I have had one for 10 months and intensely dislike it !! The blind spots caused by the a frame in the front has caused several missed accidents ! The posts and side mirrors block out People walking and large trucks! the info system is much to be desired. Purchased this vehicle to please my Husband !! Big mistake as he doesn't drive it ,I do ! Will have to bite the bullet to trade to a safer vehicle ! Cannot put a $$$ on some ones life ! Users ranked 2015 Cadillac SRX against other cars which they drove/owned. Each ranking was based on 9 categories. Here is the summary of top rankings. 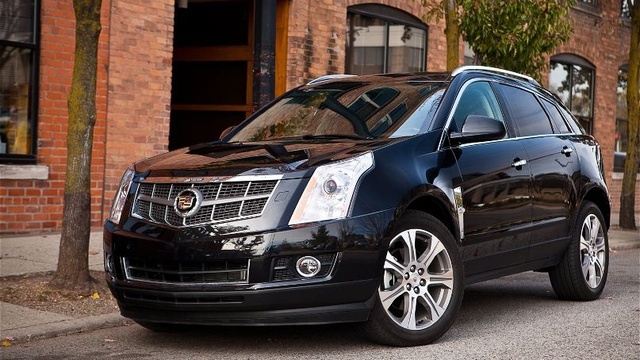 Have you driven a 2015 Cadillac SRX? Just bought a 2015 Cadillac SRX and the remote start isn't working 1st thing in the morning, however after I start the car and come back the remote start works. Any suggestions to what might be wrong? How do you owners of SRX all wheel drive,V6 models like your cars? How is the mileage and have you had many problems? Rear Defroster And Rear Wiper. How do I reset the tire pressure light so it will go off on my 2015 SRX Cadillac?